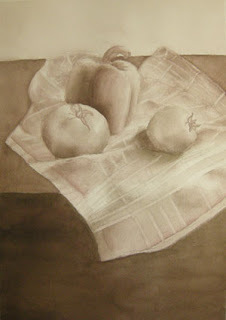 My Tuesday morning class recently painted a still life of a pepper and tomatoes. They first painted it using a mixture of two colors to create a monochromatic scene. Then they painted a second piece using color. 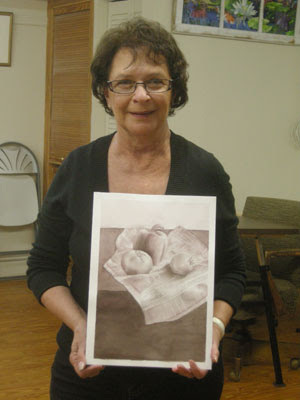 This is Jackie's monochromatic piece. She did a beautiful job! Here is a closer view of her piece. Great job, Jackie!